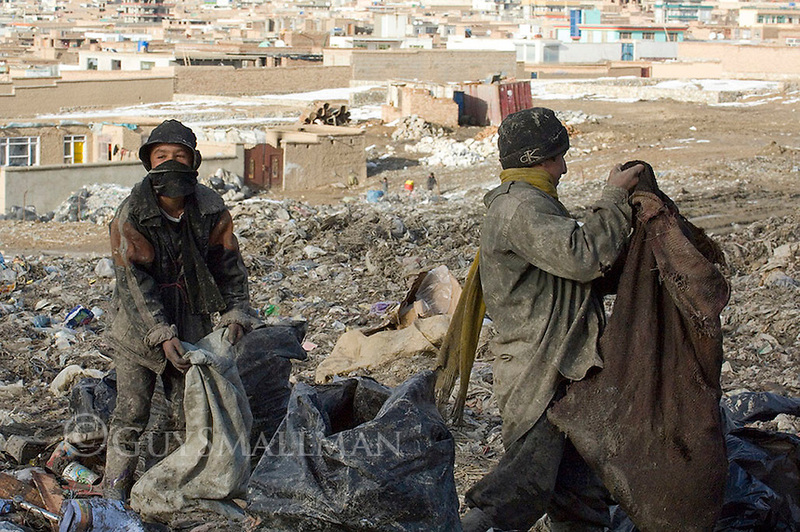 Rag pickers scrape a living on a filthy landfill site north of Kabul. They were collecting plastic to sell for recycling from houshold, restaurant and hospital waste. Most were children and were earning arounf 50 afghanis (1 US dollar) a day.